Pretty much all men want to add muscle. The problem is that not all men truly understand how to achieve it. This is where this guide comes in. If you’re getting frustrated at your lack of progress, or just want to learn how build muscle building as effectively as possible, then this is for you. Here are our tips to adding good-quality muscle fast. Follow these useful tips and you’ll be on your way to a more muscular, stronger physique. #1. To Split or Not to Split? 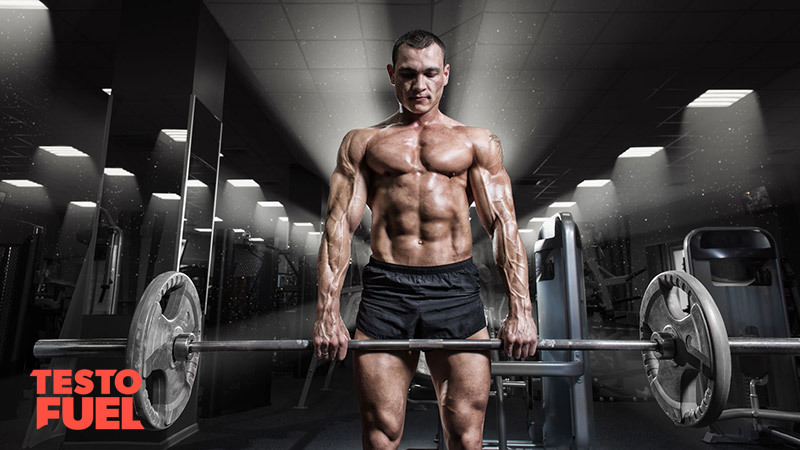 There are two main approaches to lifting weights – full body training and split training. Often referred to as the ‘bro split’, split training is an approach where just one or two muscle groups are targeted each training session. Although the training sessions are hard, overall training frequency is low and typically each muscle is only covered once per week. Full body training is where all major muscles are trained every session using different exercises, and targeted between two and four times per week. A survey conducted in the Journal of Strength and Conditioning  found that out of 127 bodybuilders interviewed, all 127 used a split training approach, and only 1/3 of them trained the same muscle more than once per week. But is this the best way? Recent research  has shown that full body training is superior to split training for muscle building and strength. 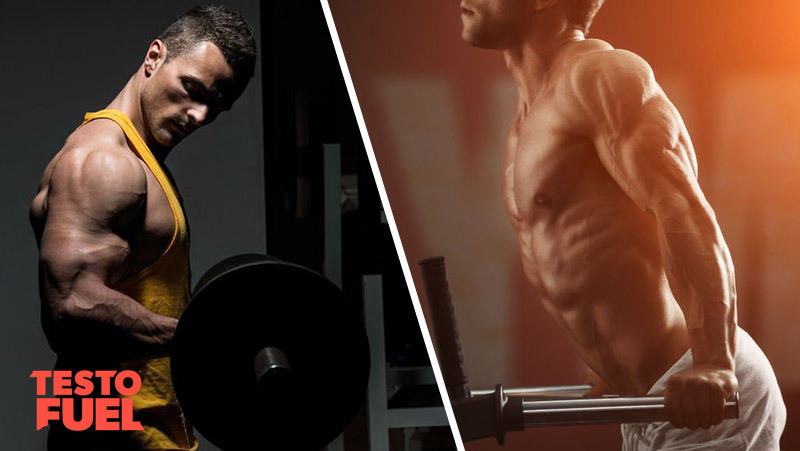 In the study, conducted by muscle building expert Brad Schoenfeld, training 3 times per week using a total-body approach, was seen to be far better for muscle building than a one-muscle-per-week split. The optimal number of reps per set for building muscle has been an ongoing debate for years. Traditionally it is recommended that you choose weights that challenge the body within the ‘bodybuilder range’ which is to complete between 8-12 reps per set . If you aren’t already doing this then we recommend you start here. The science behind it is quite complex, but ultimately training within this rep range works well as it promotes enough of a stimulus to create muscle damage. This damage occurs on a microscopic level and forces your muscle fibers to grow back bigger and stronger . Don’t neglect lower reps though. Heavier weights and lower rep ranges not only improve strength but give your testosterone levels a boost too. 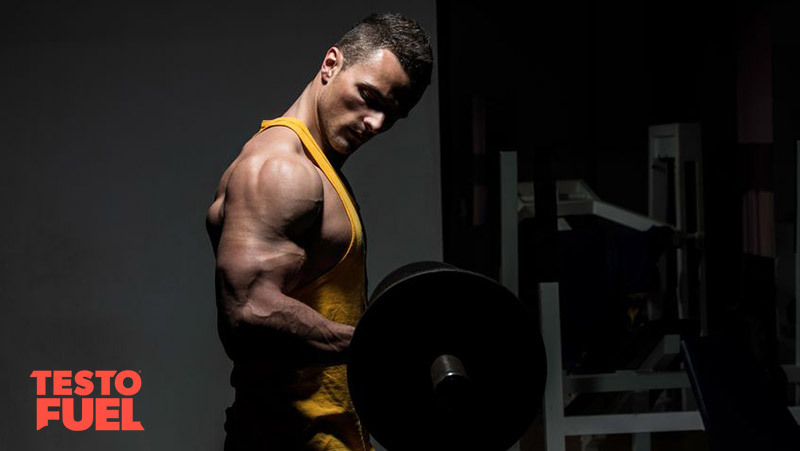 The additional benefit of getting stronger of course, is that when you return back to training in the bodybuilding range, your weights are then relatively heavier than they were before. Although strength doesn’t always mean size, if you’re getting stronger you’ll tend to add muscle too. Even higher reps with lighter weights can stimulate muscle growth . Lighter weights stimulate metabolic reactions in the body that again can force your muscles to grow – the key is to still reach fatigue each time, and maybe add a few extra sets in as well. Ultimately, there’s nothing wrong with experimenting with rep ranges to see what works best for you. Regardless of what the science says, every person differs – some respond well to strength training and others to lighter loads . Trial and error is the key to success here. If you track back through studies and stand positions, it is generally recommended that you complete between 2 and 4 sets per exercise to stimulate growth. But that’ll only get you so far. If you really want to optimize the growth response then don’t be afraid to ramp up the volume. Whilst the perfect number of sets per muscle group is again up for debate, what is for sure is that more volume equals more muscle. Studies have found that 10 sets per muscle per week is an absolute minimum , whereas other studies have found simply that more than 60 total reps is enough to stimulate growth . These are only minimum volumes though. There is definitely a ‘dose-response’ relationship between volume and muscle growth so notch up the sets and see what happens. The definition of a compound exercise is one that involves movement at more than one joint, and subsequently involves multiple muscle groups. Good examples of these are deadlifts, squats, pull-ups and bench presses. These differ from isolation exercises in that they only involve one joint and one muscle – bicep curls and leg extensions are good examples. As a compound exercise utilize multiple joints, you’ll cover more muscles in less exercises. A study published in Applied Physiology, Nutrition and Metabolism  reported that when isolation exercises are added to a compound workout, there are no benefits whatsoever to muscle size. Additionally, with more muscle involved you can lift heavier weights. Heavy weights create muscular demand, overload and growth. This can’t be matched with isolation exercises. Interestingly there are studies that have found no significant differences between isolation and compound exercises in building muscle, but suggest that compound are still favorable as they are more practical, time-efficient and transferable to strength and functionality . Once you start to see some serious muscle piling on it can be difficult to know when to ease off. Strangely you don’t get bigger in the gym. This is where you’re creating the micro damage within the muscle that sparks the growth process. You grow away from the gym when you are resting and recovering. Proper rest, sleep and adequate nutrition are key to maximizing muscle growth so don’t feel like you are cheating yourself if you have rest days. Take them regularly and maybe even a few days off every few months or so. Your body will tell you when it is ready for a break from training. You might feel tired or lethargic, and your strength might start to go down – your day to day weights will begin to feel heavy. Additionally you might start to feel a little under the weather and pick up little niggling illnesses like the common cold.